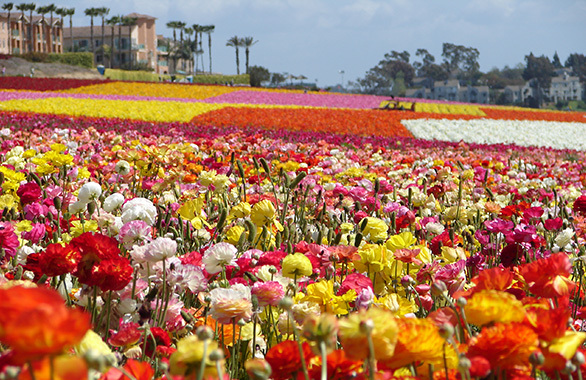 Want to frolic through the flowers with us? Well, you're in luck because we're taking you to the flowers on Saturday, April 20th for only $5. You'll have the opportunity to take in their beauty (without hurting the flowers of course!). For more information about the flowers, click here. Round-trip bus transportation will be provided and required. Tickets will be released on April 15th at 8:00am. Ticket includes bus transportation to and from Carlsbad and is required.